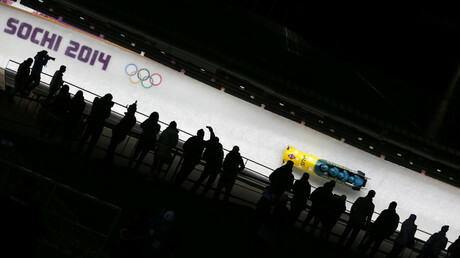 The International Bobsleigh and Skeleton Federation (IBSF) lifted the provisional suspension of four Russian skeleton athletes on Sunday, saying there’s insufficient evidence for the ban, but adding the doping probe will continue. “The Doping Hearing Panel of the IBSF concludes… to lift the provisional suspension of Elena Nikitina, Maria Orlova, Olga Potylitsyna and Aleksandr Tretyakov, with immediate effect as of the date of signing of this decision," the IBSF said in a statement. The four Russian athletes were provisionally suspended from competing untill January 19 in connection with a probe over suspected anti-doping rules violations during the 2014 Winter Olympics in Sochi. The panel said the European Convention on Human Rights provides each individual the right to fair trial, with the presumption of innocence guaranteed until proven guilty. “There is not (yet) sufficient evidence against the athletes that would justify the provisional suspension," IBSF stressed. "The McLaren Report ll provides sufficient reason to conduct further investigation by both the IOC (International Olympic Committee) and the IBSF into the role of the Athletes in ‘tampering or attempted tampering of any Doping Control,” the Doping Hearing Panel added. The ruling clears the way for Tretyakov, Nikitina, Orlova and Potylitsynato to compete at the skeleton European Cup to be held in Winterberg, Germany on January 14-15. “All the four athletes will take part in the European Cup event,” Aleksandr Zubkov, president of Russian Bobsleigh Federation, told Tass. “We knew that any outcome was possible,” as Russian athletes in other disciplines remain on the ban list, despite their alleged offences not being proven, Elena Nikitina told RT. In December, the World Anti-Doping Agency (WADA) Independent Commission, headed by Canadian sports law professor, Richard McLaren, delivered the second part of its report, which claimed that over 1,000 Russian athletes competing in the summer, winter and paralympic games could have been involved in a manipulation system to conceal positive doping tests. Pointedly, McLaren’s report stated the doping samples of 12 Russian medalists of the Sochi Games had been tampered with, while tests of two more Russian athletes, who won four gold medals at the 2014 Olympics had been falsified.